Automotive industry has been thriving in Pakistan over the past few years and many renowned car manufacturers from abroad have been entering into the Pakistan markets. While the consumers in Pakistan would already benefit off the increased competitiveness and more competitive prices, Electric cars in Pakistan would also be sold on commercial basis very soon, adding to the variety of vehicles available for consumers to purchase in the country. JAC Motors has particularly shown confidence in Pakistan’s Economic growth and also hinted at expanding their production line in Pakistan by setting up an assembly plant in the country. If this is true, Electric Cars would be assembled in Pakistan very soon. 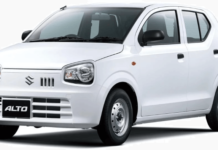 JAC Motors has identified the limited spending power of Pakistani consumers hence the company aims at producing and selling electric vehicles in Pakistan at relatively affordable rates. Apart from Electric technology, these cars would also include modern features and security components. Electric cars in Pakistan are not only attractive due to the technological advancements they boast, but are also the need of the time in countries such as Pakistan, which are severely affected by climate change. Electric cars in Pakistan would help curb carbon emissions in the country. JAC Motors is currently operating from China and exports vehicles to over a 100 countries. Leveraging the incentives and tax cuts offered through CPEC, JAC Motors can expand into Pakistan while maintaining efficiency and effectiveness in production.